Our swine are grass and grain fed. They are chemical, antibiotic, and hormone free. They are never confined and are free to roam and root as they please, although shelter is available. Depending on the season, we supplement grass with grain. 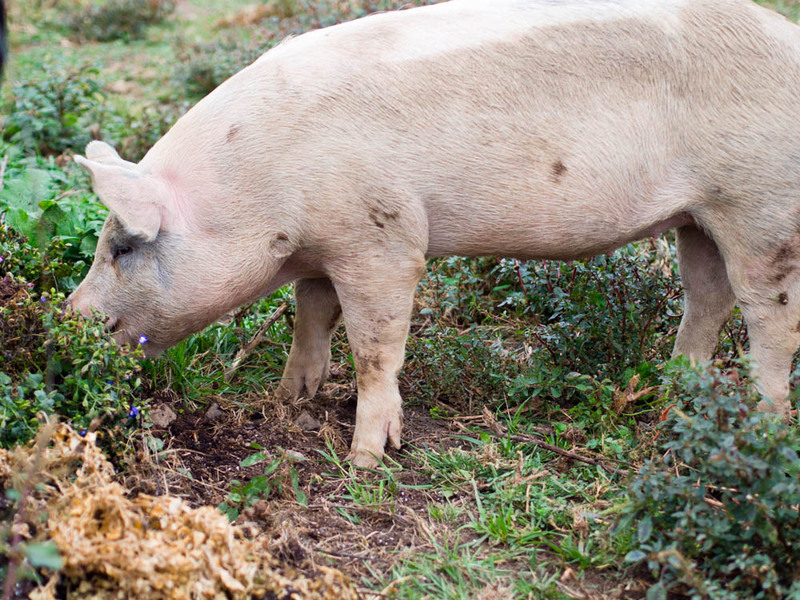 We believe that happy, healthy pigs result in the best pork products for our customers. We want our customers to be confident in the quality and purity of our products which are hormone and antibiotic free.